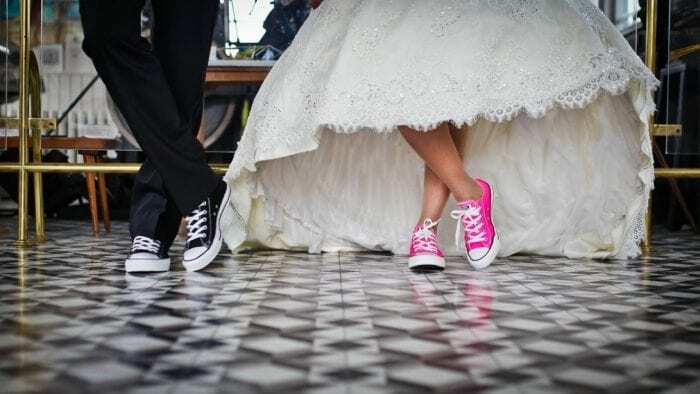 I guess you are used by now with us suggesting you to get some tricks and tips, when it comes to your wedding appearance, from grand and important events. This grand event that we wanted to discuss with you is the Paris Couture Fashion Week, because we believe that you have many things to learn from this event. Paris Fashion Week has it all, so we thought we should start with the beginning, i.e. with your wedding dress. 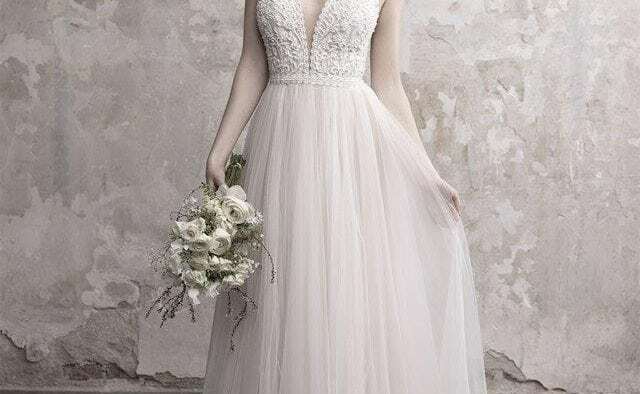 In terms of the bridal gown, there are various talented fashion designers you could resort to, such as: Valentino or Elie Saab. 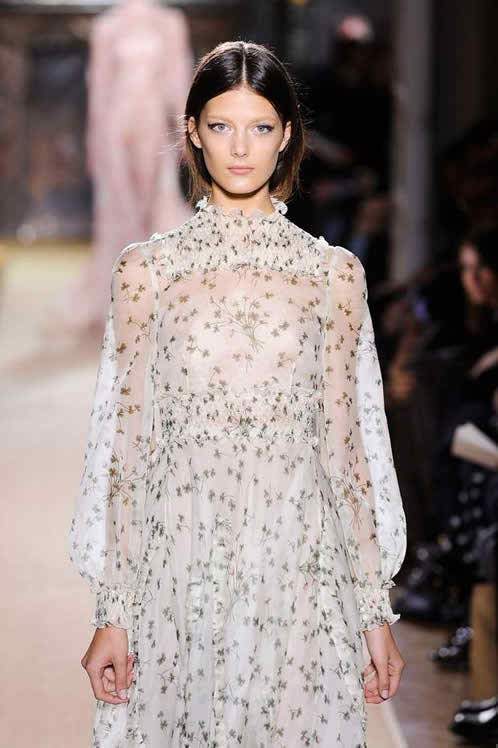 For example, Valentino offers the brides to be delicate and feminine models with flower accents that will definitely soften the wedding appearance of a lady. At the same time, Elie Saab displays a stylish and “candy like” couture, in delicious and sweet colors, such as: lemon yellow, or fairy floss pink. 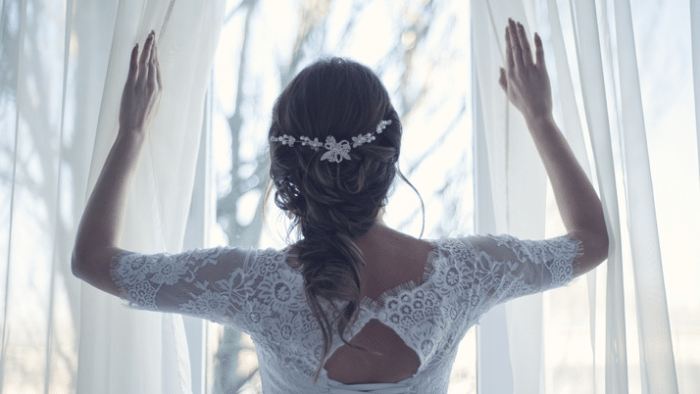 Something that might interest you is the bridal hairstyle. Well, as you have expected there are definitely some interesting coiffures you could get inspired from at your nuptials. From what we were able to see, we have noticed that pony tails are back in business. Anyway, among these elegant and rigorous hairstyles, some bob coiffures, chic up dos, and playful down dos were remarked at this important event. Oh, and let’s not forget about Jean Paul Gaultier and their Amy Winehouse hairstyles. These are really extravagant and eccentric, as you well know, but if you loved the artist and if you want to pay an: homage to her, then you could go for something like this. And, as far as the bridal makeup is concerned, designers once again put emphasis on the natural beauty, focusing mainly on the eyes. The exception is Jean Paul Gaultier, who uses that Amy Winehouse heavy and eccentric makeup that I’m sure you all have seen before. So, dear and happy ladies, you have seen which are the tendencies as far as “high couture” is concerned. 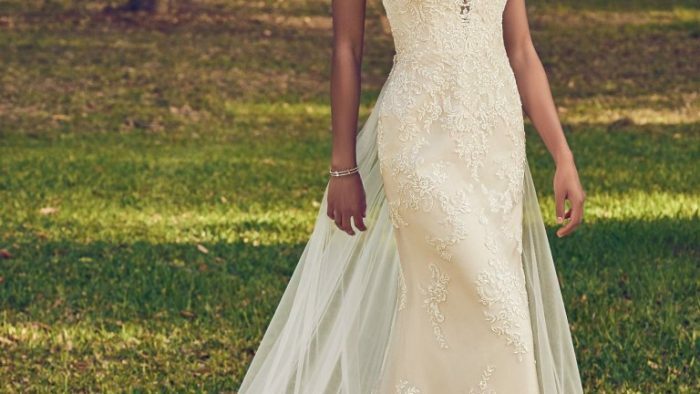 Now, you will just have to adopt the look that suits you the best, in order to come up with a gorgeous wedding appearance.